More Bang for the Buck. 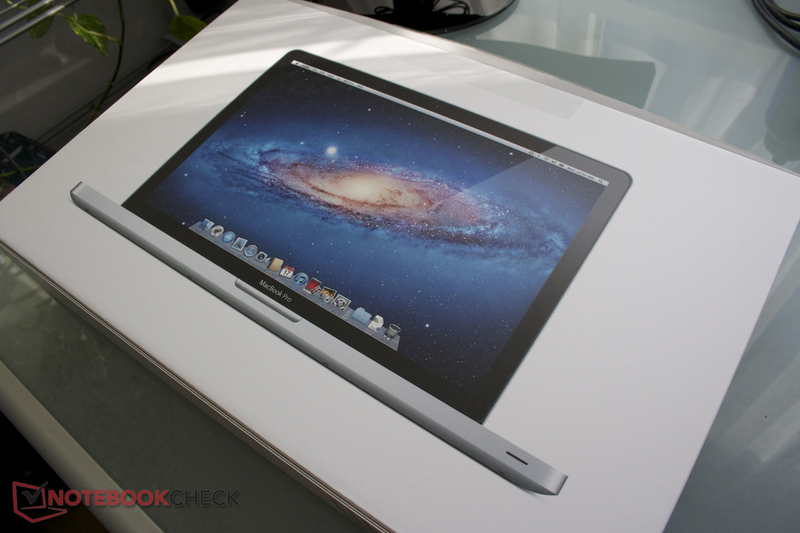 In a Late 2011 Refresh the MacBook Pro 15 Series was equipped with new processors and the graphics was updated. We check the performance of the currently most powerful model with 2.4 GHz quad core CPU and new Radeon HD 6770M graphics card. 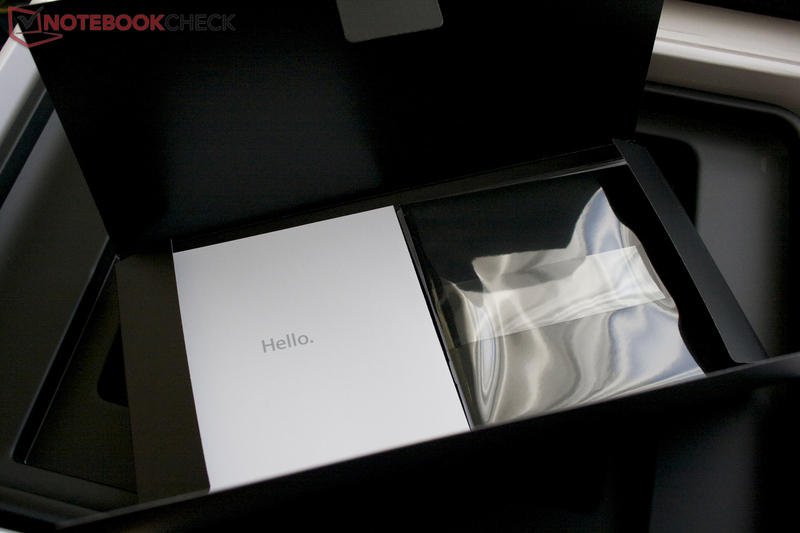 Apple quietly updated the components of all MacBook Pro models on 24th of October 2011. The 15-inch models now feature Core i7 quad core processors with a 100-200 MHz higher clock rate and faster graphics cards. The slower entry-level graphics solution, the AMD Radeon HD 6490M was replaced by the 6750M (used in the former top model) and the brand-new 6770M is available for a surcharge. The latter is based on the same chip but higher clocked. In the following review we scrutinize the currently most powerful MacBook Pro 15 model with 2.4 GHz Core i7 quad core processor and AMD Radeon HD 6770M graphics card. 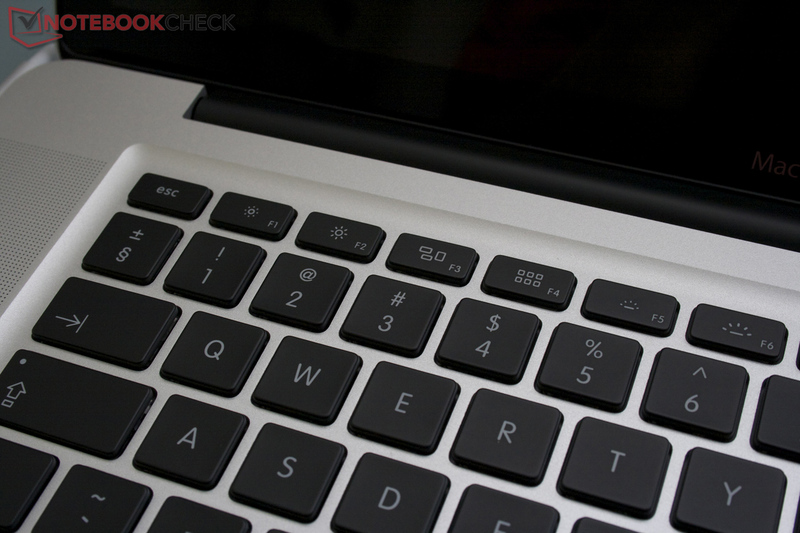 The 15" MacBook Pro is still one of the slimmest and lightest 15-inch laptops of its category. The unibody aluminium casing remained the same and convinces with its unrivaled stability and workmanship. The thin underside is the only part that can slightly be pressed in and the relatively sharp front edge is not ideal for some users. The completely removable base plate makes maintenance easy. Memory, ODD, and HDD can be replaced by the user and the two fans are accessible for cleaning. Although the integrated battery can be reached, according to Apple, it must not be replaced by the user. The plain and simple design is not at all out of fashion and the competition still tries to copy it. There are still only few interfaces available. But, the usefulness of the Thunderbolt port increased because there are slowly more and more accessories offered. E.g., the optional 27" Thunderbolt monitor can replace a docking station. Furthermore, there are already fast external hard drives and SSD casings available. While the operating system was upgraded to Mac OS X 10.7 Lion, the number of accessories shrank even more. An installation-DVD is no longer included. Now, you can only re-install the operating system via recovery partition (option in the boot menu). Unfortunately Apple grants only a 1 year warranty and 30 days telephone support for their pricey laptops. While warranty extensions are indeed offered, they are relatively expensive. We still appreciate the unaltered input devices. 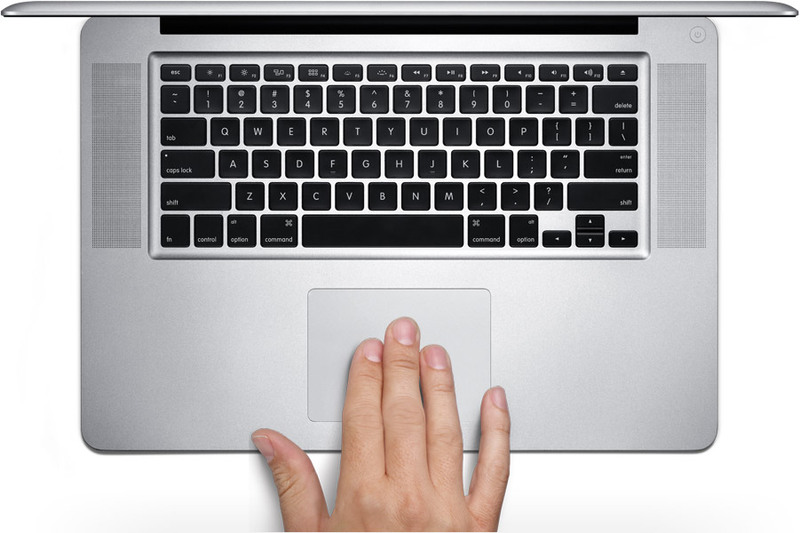 In particular the multi touch glass trackpad is unique among Mac OS X systems. 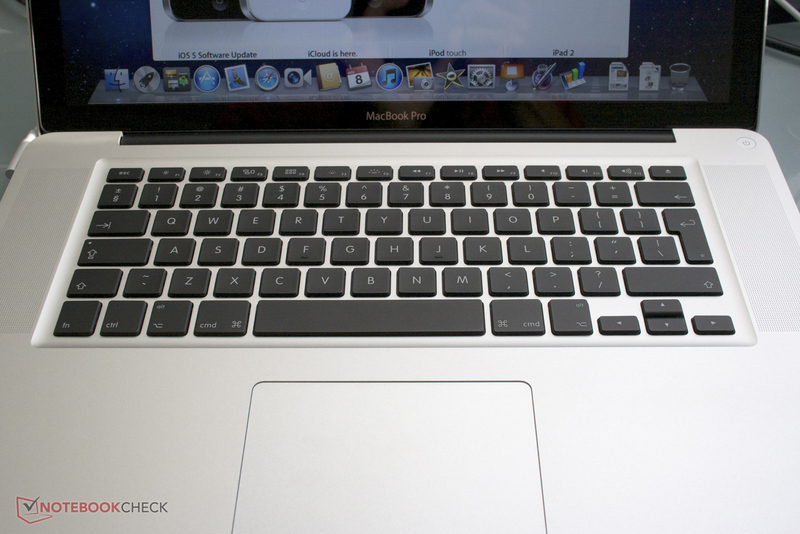 Further details are available in our former review of the 2011er MBP 15. Our test model features the same glossy LP154WP4-TLA1 display as our early 2011 2 GHz model. Regarding display measurements, we therefore, refer to this review. To summarize, it is a high quality, bright, but heavily reflective display. Thus, we'd recommend the high resolution, matte display, which is available for a surcharge. Finally, it's going to get really interesting here. The Intel Core i7-2760QM processor, the HD 6770M graphics card and the big 750 GB hard drive promise an excellent performance inside a slim case. 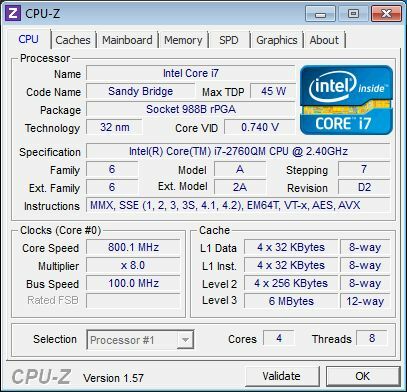 The built-in Intel Core i7-2760QM belongs to the Sandy Bridge Refresh 09/2011 and replaces the Core i7-2720QM in Intel's product range. The processor features four physical cores and thanks to HyperThreading it can process up to 8 threads at a time. In theory, Turbo Boost can raise the base clock of 2.4 GHz up to 3.5 GHz (if only 1 core is loaded). Compared to the slower clocked Core i7-2670QM in the entry-level model of the 15-inch series, the 2760QM also supports VT-d. If the high Turbo speed can be used to capacity, the performance approaches the 2920XM, the former top model. A TDP of 45W means that the current quad-core processors are not really thrifty, but offer enough theoretical performance for all all fields of application. We analysed the CPU performance under Windows (Bootcamp) in detail. On average, the 2760QM can barely reach the level of other 2760QM laptops (0-12% faster) and is on par with 2670QM / 2720QM CPUs. During our tests sometimes thermal throttling occurred (e.g., Cinebench 10 Multi). This explains why the CPU is slower than expected. Nevertheless the processor performs better than the 2720QM in the early 2011 powerful MacBook Pro 15 model as it was also unable to run at full CPU speed. While the Intel Turbo Boost 2.0 can apparently not use the full potential of the CPU (power adapter, cooling), it could still reach the maximum clock rate of 3.5 GHz in our test (low load, 1 core). After all, the clock rate reaches 3.4 GHz in the single core test of Cinebench 11.5. Depending on the game, we could observe different characteristics. In Burnout Paradise, all four cores are clocked at 3.2 GHz. In the demanding Battlefield 3 the clock rates of the cores alternate between 2, 2.4 und 3.2 GHz. However, thermal throttling does not occur and a core temperature of 86°C (CPU approximation) and 78°C (GPU) means that the cores do not get too hot. So, the throttling is presumably caused by an insufficiently dimensioned power adapter. We used the PC Mark suits from Futuremark to test the system performance under Windows 7. Their total scores reflect the combined performance of CPU, GPU, and HDD and can be easily compared to other laptops. Because of its slow HDD, the performance of the MacBook Pro is slightly lower than expected. 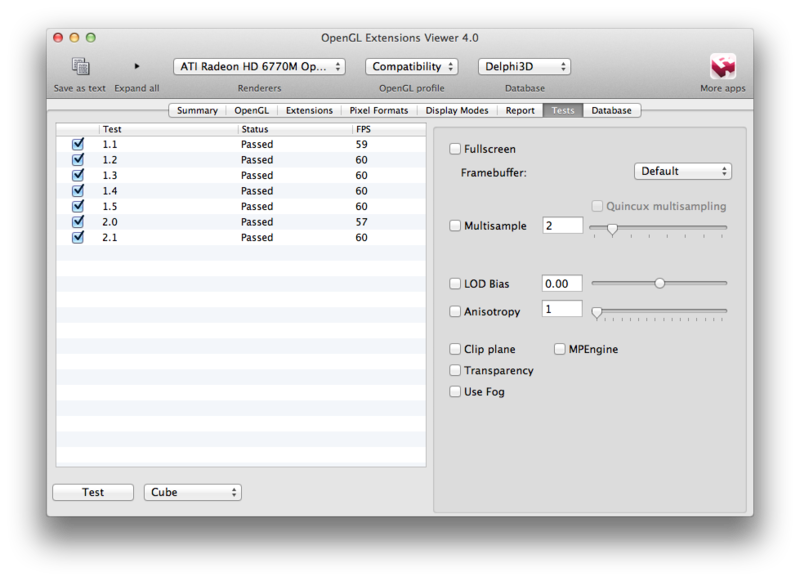 However, compared to the DV6-6008 with the same graphics card (-4%) the MBP performs quite well. Furthermore, our test sample is on par with the LG A520 with i7-2820QM and GeForce GT 540M. Systems with SSDs perform clearly better than our aluminum model. Even the smaller 11" MacBook Air is 38% faster. The potential of systems with SSDs gets obvious in our reviews of the P701 and P511 models from Schenker, which score about 93% higher. Therefore, we recommend to everyone who can live with the smaller capacity to select the SSD option. A later upgrade is unproblematic too, as the HDD slot can be accessed easily. 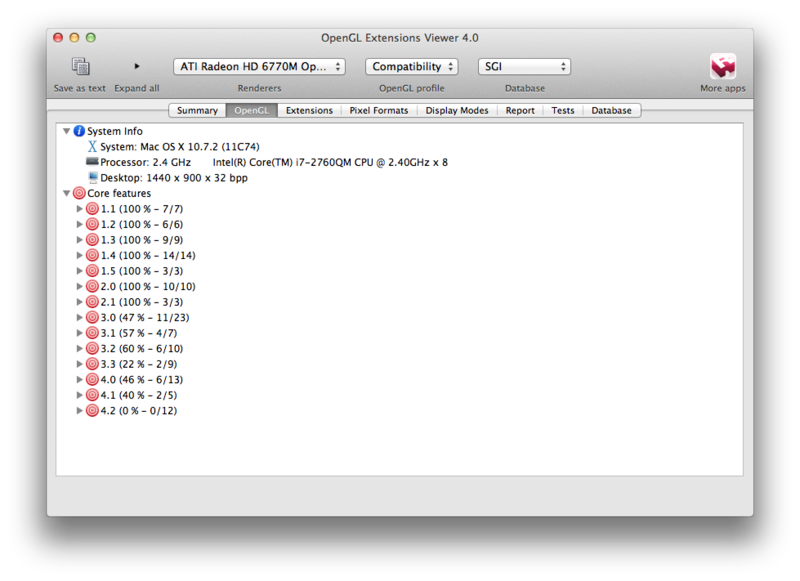 The very outdated XBench 1.3 is still one of the few benchmarks which measure the system performance under Mac OS X. However, some sub tests don't complete on Lion and the results in the user interface tests are also no longer comparable with version 10.6. 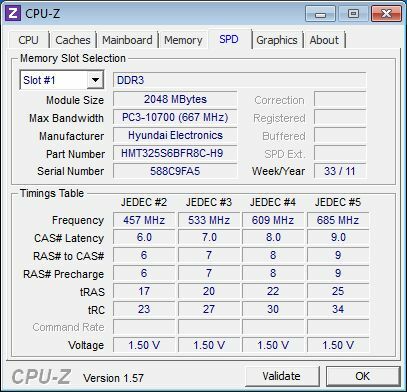 In the other tests the 2.4 GHz MBP 15 performs, as expected, better than the 2.3 GHz MBP 17 and the 2 GHz quad core in the Early 2011 entry-level device. Because our test sample lacks an SSD, it is slower than the current Macbook Air under Lion in the disk tests. The built-in Seagate MK7559GSXF hard drive rotates at slow 5400 rpm and features a gross capacity of 750 GB. It is one of the faster 5400 rpm hard drives. The maximum read rate was for example only 4% lower than the fastest 5400 rpm hard drive, the SAMSUNG HN-M500MBB in the Samsung 400B5B-H01 laptop (Polish review). As a comparison, the fastest 7200 rpm hard drive is 17% faster (Seagate ST9750420AS in the Asus VX7-SZ062V). 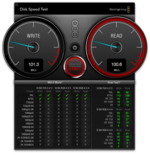 Fast SSDs perform even better and this is noticeable in practice. 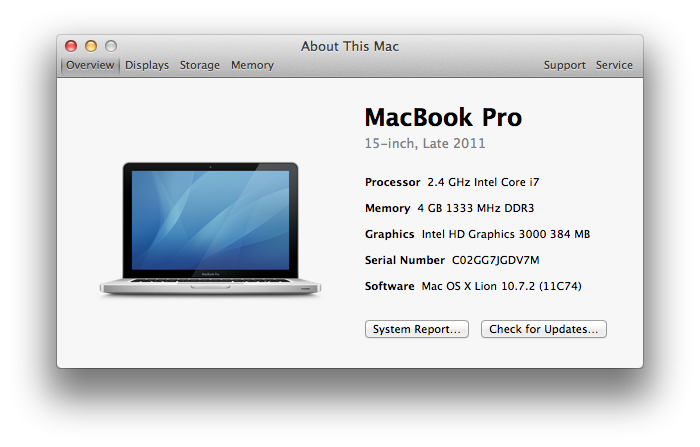 Besides the faster processor the built-in AMD Radeon HD 6770M graphics card is the second change in the MBP 15. A look at the clock rate disappoints us. In the reference design (and in Windows laptops we know) the clock rate is 725 MHz, but Apple uses a clock rate of 675 MHz. Therefore, it is not much faster than the Radeon 6750M running at 600 MHz in the entry-level model. Contrary to the entry-level model the more powerful model features 1 GB GDDR5 and not only 512 MB. This can definitely be advantageous in multi monitor configurations under Mac OS X. Since the introduction of the Thunderbolt interfaces, graphics solutions are only connected via PCIe 8x by the way. At the time of writing, this is only disadvantageous in few applications. 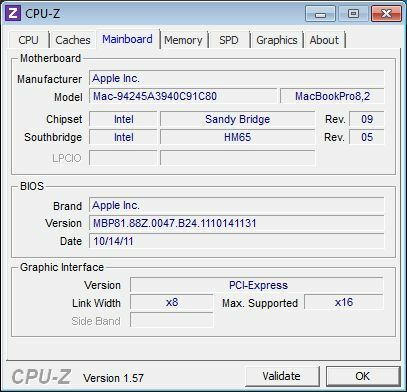 The MacBook Pro includes an automatic switching between processor graphics (Intel HD Graphics 3000) and the 6770M depending on the software under Mac OS X. The switching is done by Apple's own system without flickering and worked flawless in our test. However, only the power hungry Radeon is used under Windows. In the synthetic benchmarks the impact of the lower clock rate and the narrow PCIe interface becomes obvious. 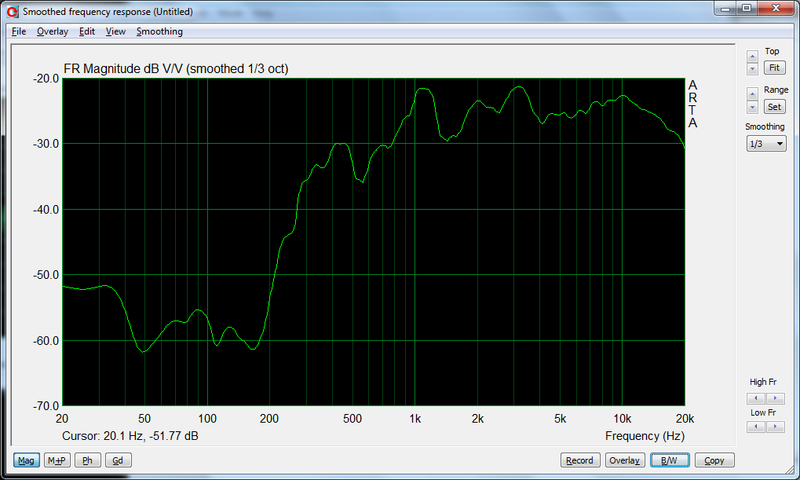 On average, our test model is about 6% slower than the HD 6770M in the HP DV6. The difference was lowest in the Heaven Benchmark (2%) and in older CPU-oriented 3DMark versions. 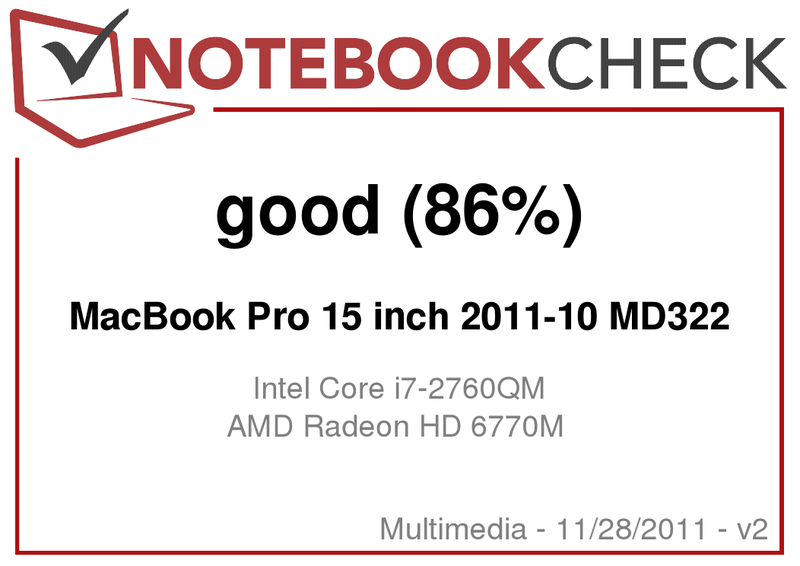 But our test model is about 10% faster than the 6750M in the MacBook Pro (now built-in in the entry-level model). Thus it positions itself narrowly in front of the fastest Nvidia GeForce GT 555M graphics cards right on the line to high-end graphics cards. Despite the lower clock rate the gaming results are pleasing in general. Most of the games can be played smoothly in medium to high details. Only Battlefield 3 doesn't allow for much flexibility at medium details. In multiplayer fights we were much better when running the game at low detail settings. We also quickly checked the graphics performance under Mac OS X. 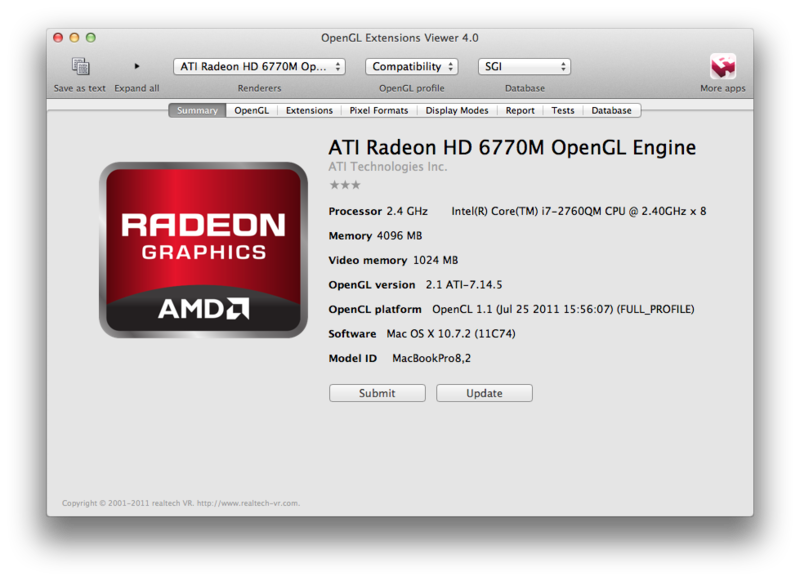 In the OpenGL test of Cinebench R11.5 the Radeon HD 6770M was 19% faster than the 6750M in the 17" MBP Early 2011. However, differences in Lion also have an impact here. This gets particularly obvious in Cinebench R10 (the result is lower here). In practice, games are still slower under Mac OS X than under Windows. Nevertheless, StarCraft 2 was playable at high details and a resolution of 1440x900 (challenge - For The Swarm: 30-50fps). Left 4 Dead 2 achieved 35-45 fps in native resolution with 4x MSAA, 8x AF and maximum details and was playable smoothly as well. 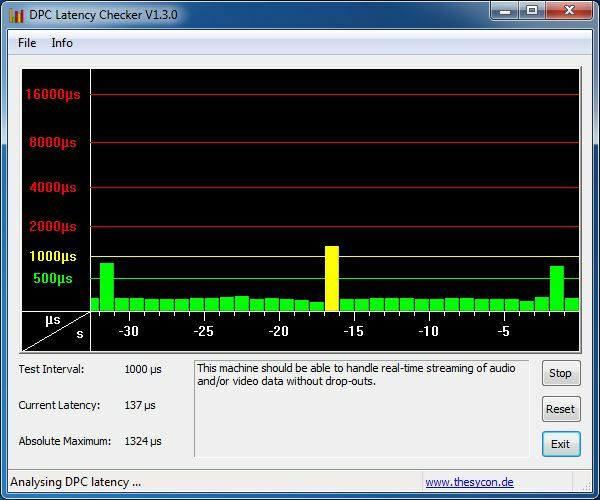 The DPC latencies are not perfect and the tool periodically shows yellow bars. Windows support on the MacBook Pro is still less than satisfactory. Besides the significantly worse touchpad drivers, we had to struggle with several problems. 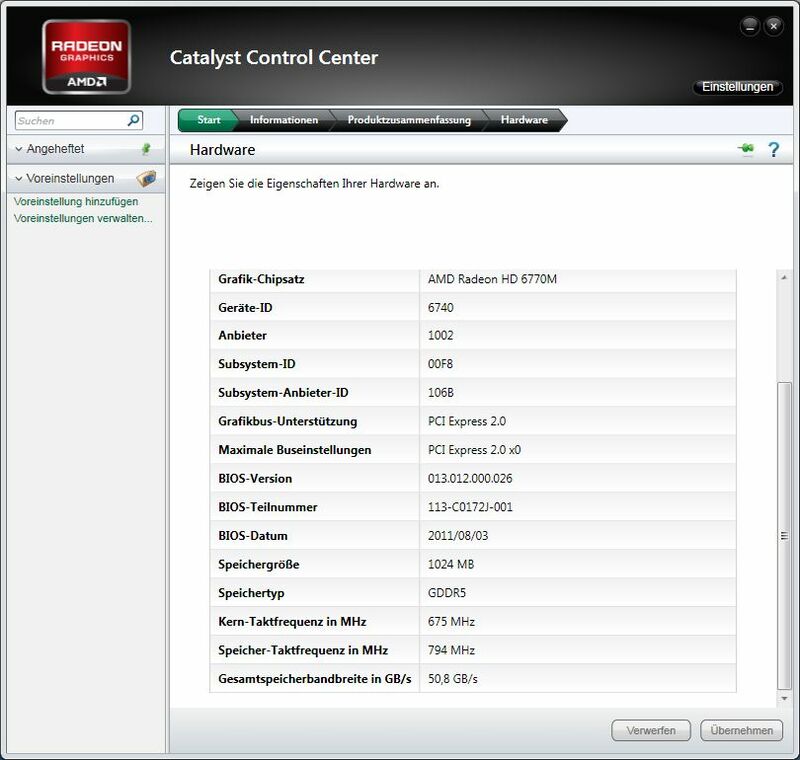 The pre-installed AMD Catalyst graphics drivers were relatively old (10.1, current version: 11.9) and could not be updated. Therefore, Battlefield 3 sometimes crashed when changing the graphics settings. Furthermore, the Catalyst Control Center (CCC) is not included. Thus, e.g., external HDMI screens display a too small picture. Fortunately, we were able to manually install the CCC. A further problem with external monitors occurs as soon as the standby mode of Windows is activated. An Acer 22" TFT connected via HDMI Adapter continued to check in and out in Windows and inhibited standby mode. The newest release of Deus Ex suffered from heavy stuttering and audio problems, which might also be caused by outdated drivers. Lastly, the FireWire 800 also failed to work flawless in our Bootcamp installation and the whole system hangs when using an external hard drive. 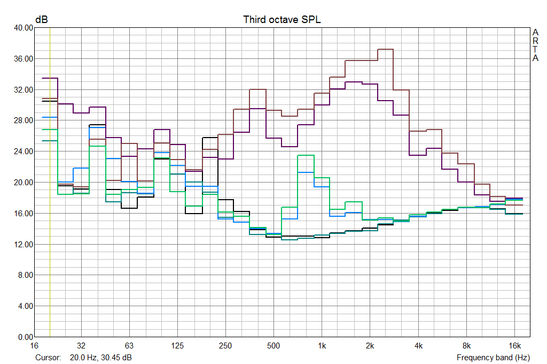 The MBP 15 is quiet as a whisper without load. Just the constant buzzing of the hard drive is audible. The two fans run at 2000 rpm and can only be heard in just a few centimeters distance. 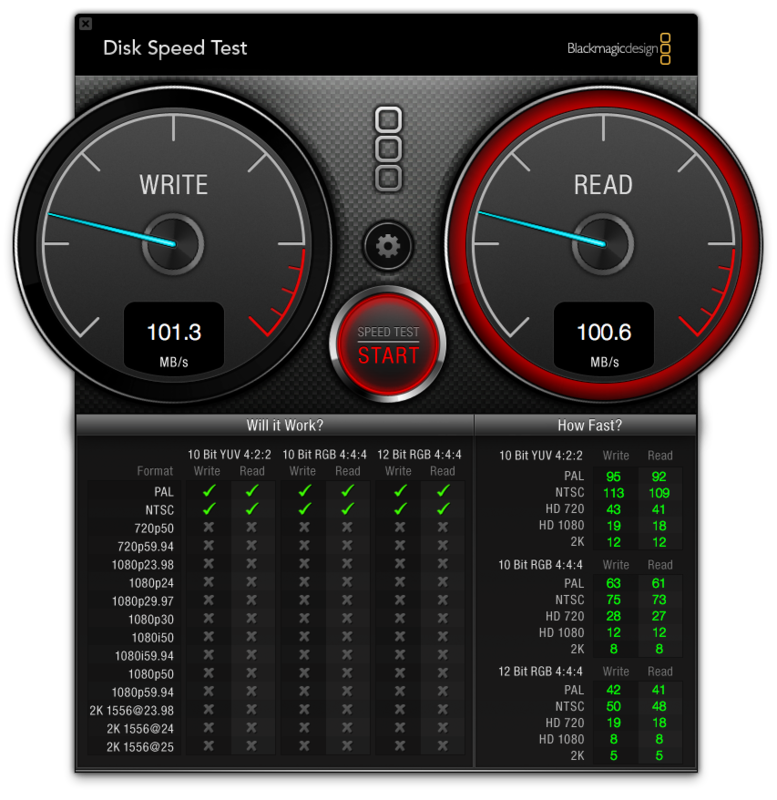 So, the MBP 15 equipped with an SSD is virtually noiseless. Transistor noises could also not be heard. Under load both fans mostly rotate at maximum speed of 6200 rpm after a while. 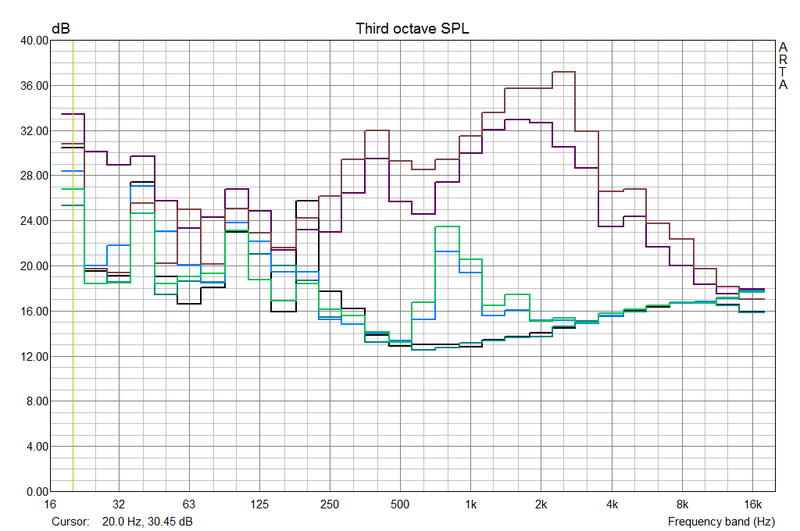 Here the MBP reaches a noise level of 44.1 dB and 4.2 Sone and is nearly 4x louder than without load. Nevertheless, the noise is tolerable when playing a game with activated sound. 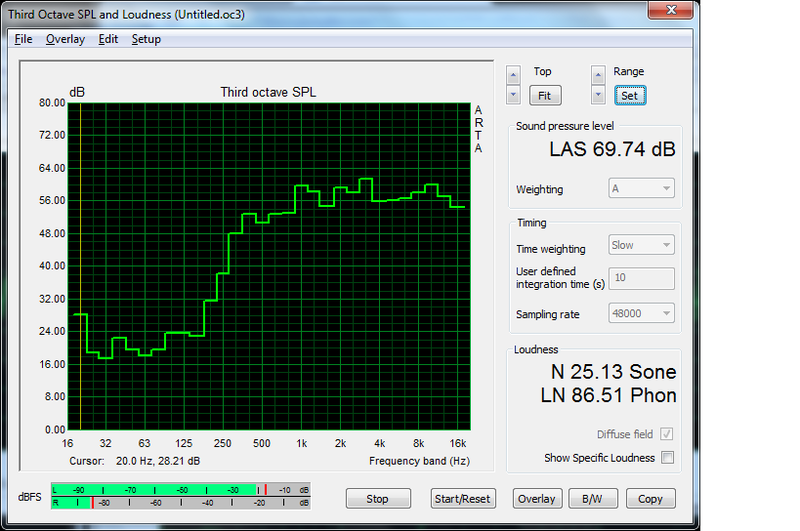 Btw, unlike former test models our current test sample did not stay on an intermediate noise level for a longer time. In the surface temperatures the refreshed MBP 15 performs somewhat worse than the 2.2 GHz model from early 2011. In particular without load the test sample got clearly warmer (maximum: 34 versus 31°C). But, the average temperature is just 1°C higher. Nevertheless, surfing the Internet with the laptop on the lap is no problem. However, this is only true as long as the vent holes at the rear are not covered. While watching YouTube videos on a blanket, the temperatures on the underside got already uncomfortably warm. Under load the temperature of the MacBook Pro 15's case increases considerably. In our extreme test scenario (Furmark + Prime for many hours) up to 43°C were measured above the keyboard. In addition, also during playing "Left 4 Dead 2" under Mac OS X a high maximum temperature of 42°C was reached. However, the temperature stays on a comfortable level at the palm rest areas and the input devices and do not limit use on the desk. Internal temperatures reach their limits repeatedly for short periods. In particular, before the fans reach their top speed, the CPU can even be subjected to short periods of thermal throttling, as it reaches the critical 100°C. The AMD graphics card reached up to 90°C in the test too. However, if the load persists for a longer time, the processor and the graphics temperature level off at an uncritical 80°C. (±) The maximum temperature on the upper side is 43 °C / 109 F, compared to the average of 36.5 °C / 98 F, ranging from 21.1 to 71 °C for the class Multimedia. (+) In idle usage, the average temperature for the upper side is 29.6 °C / 85 F, compared to the device average of 30.9 °C / 88 F.
(-) The average temperature of the palmrest area of similar devices was 29.1 °C / 84.4 F (-2.9 °C / -5.2 F). The power adapter with a specified wattage of 85 Watt is clearly overstrained in our load test. This could be the reason, why throttling occurs at very high CPU and GPU load, e.g., in Battlefield 3. Much to our surprise, the battery life was clearly shorter than the one of the former MacPro Pro without load. But, Lion could have a considerable impact here, as the 6770M shouldn't have any impact on battery life in the idle test under Mac OS X. 10.5 versus 7 hours (best result of three test runs) means that the result is considerably lower. However, as the laptop reached a battery life of 9.5 h in the c't 25/2011, this may be due to a problem of our test model (e.g. AMD graphics card not deactivated in the reading test using Firefox and iMacros with local HTML files). In the DVD test at maximum brightness (often a realistic battery life in practice) the runtime was virtually on par with the former 2.2 GHz model and so was the load test, in which our test model achieved a runtime of 52 minutes. Nevertheless, a battery life of 5h in practical use at maximum brightness is decent. Furthermore, if you decrease the brightness, battery life will increase notably. According to our Cinebench tests under Mac OS X the performance did not drop on battery. However, Left 4 Dead 2 only achieved 30 instead of 35 fps on battery. While the laptop was used to some extent, the battery charging completed in 2h 50min. The MacBook Pro refresh brings a better performance for the same price. However an upgrade hardly pays off for owners of a model from early 2011 as the differences are too small. To summarize, the 15 inch MacBook Pro is still an excellent laptop, which features high performance in a slim case. The unibody aluminium casing and the input continue to be a good reason to buy. Availability of accessories for the Thunderbolt interface is starting to pick up as well. The biggest disadvantage is the steep price which Apple charges for only one year warranty. Especially the high surcharge of 400 Euro for the reviewed 2.4 GHz model will only pay off for few users, as the base model with as the 2.2 GHz quad core and Radeon HD 6750M is not considerably slower. - Throttling under heavy CPU and GPU load - likely because of an insufficiently dimensioned power adapter. That there is still no comparable Windows laptop at the market. So far, the combination of high-quality case, excellent input devices and very good display is unrivaled. Apple users will only consider laptops from Apple. The entry-level model with 2.2 GHz quad-core CPU and 6750M graphics card might be of particular interest. Furthermore, the smaller 13" model might be a good alternative because of its low price. If you are only interested in the performance and prefer a Windows platform, you'll find many cheap alternatives (e.g. HP DV6-6008).